The English Language Centre run trips to several different UK cities throughout the academic year. We have lots of questions about our trips. You can find answers to the most common questions below. Which cities do you travel to? There are many different destinations for our trips. Previous trips have included journeys to Cambridge, Manchester, Oxford and Leeds. We will announce the date of the next trip and the destination on the English Language Centre Blackboard community page. 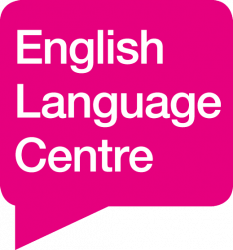 (If you cannot see the English Language Centre in your Blackboard Communities list, we can add you. If you have questions about Blackboard, please visit our Blackboard FAQs page. The price for the trip tickets may vary depending upon the destination. Trips normally cost around £12, however please check the Blackboard announcement for the exact amount. We travel by private coach. The coach will leave the University campus in the morning and bring you back in the evening on the same day. The coach will usually leave Lincoln at 8:30am and depart from the city about 5:00pm. Time of arrival back in Lincoln will vary. Again, please check the information on Blackboard for more details about this. How do I get a ticket for the trip? I booked a place on a trip but I didn't get my confirmation email - what should I do? We will check our passenger list for you. If you are not on our list, you need to buy your ticket again. I clicked the link on Blackboard but I can't find the trip page on the University online store - why? Please check the dates in the announcement- have you missed the deadline for buying your ticket? If you have not missed the deadline, but are having technical issues, please contact englishlanguage@lincoln.ac.uk. You should include a screenshot of any error message. This will help us to find out what is wrong. Thank you. I missed the deadline for buying a ticket. Can I still book a place on the trip? - Any health issues we should be aware of (e.g. asthma, diabetes etc). My friend is a student at the University of Lincoln but they are not an international or EU student, they from the UK - can they come on the trip with me? We organise these trips for international and E.U. students in mind, however we understand that you may enjoy the trip more if you can take a friend with you, therefore your friend can join you on the trip. They need to go to the University of Lincoln shop and buy their own ticket. Use the link on Blackboard and ask them to fill in the form with their details. I want to book 2 tickets - 1 for me and 1 for a friend, but the booking system will not let me. How do I get 2 tickets for me and my friend? The booking system will only allow you to buy 1 ticket per person, therefore we recommend that your friend books their place separately. If there is a reason your friend cannot book a ticket, please contact us and we will do our best to help you. I fyou have any further questions about our trips, please email englishlanguage@lincoln.ac.uk and we will help you.